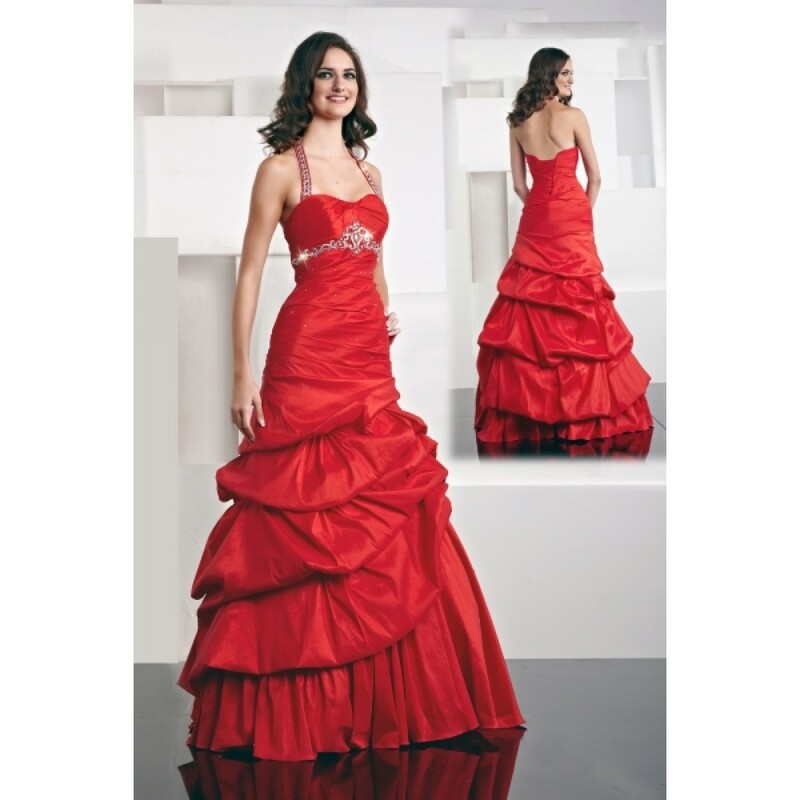 Fabulous scarlet stretch taffeta dress. Silver and red beads and sequins fully encrust the halter neck strap as well as under the bust line. Figure hugging to the hips with a lace-up back. 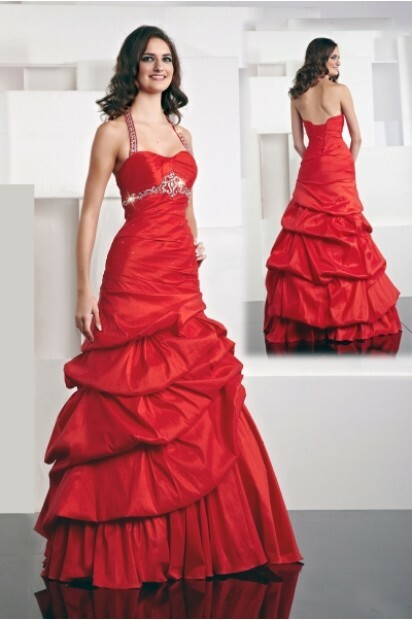 Layers fall from the hips to give an amazing look to this stunning dress.